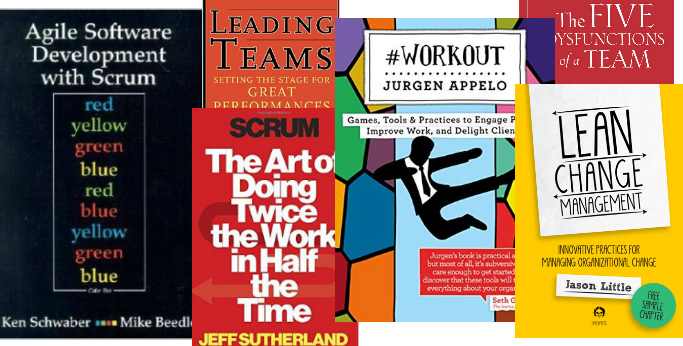 For several weeks I was collecting a list of the best agile books for scrum masters. I started to ask some communities on social networks where I got a lot of feedback! The contribution was so high that I received more than 100+ unique books. I decided to divide them into 5 different categories – Books for: Scrum Masters, Product Owners, Agile Developers, Leadership & Agile Coaching. In this blog post I will start with the Top 30 Agile Books for Scrum Masters. The list is ordered based on reviews and ratings on Amazon and GoodReads. If you think that there is an important book that should be added to that list, leave a comment after the list. If you think that there is an important book that should be added to that list, leave a comment! I would love to hear from you! As a Scrum Master I would like to add some visual facilitation books. – Scrum Narrative and PSM Exam Guide – For a exam prep book, there is so much amount of knowledge to gain about Scrum that I could not get from other mainstream Scrum books. The list is long. Though I liked your short top five, I would argue if books like ‘Five Dysfunctions’ (that is otherwise a seminal book on its own subject) are ‘top books’ for scrum. Scrum is based on empiricism theory and collaborative product building. As such, these books don’t qualify. Thanks for putting together this post onTop 30 Agile Books for Scrum Masters.It is a great read. I particularly find your thoughts about The Professional ScrumMaster’s Handbook interestig.